ATEL Air has been helping the people of Prescott (and the entire Leeds and Grenville area) with their heating and cooling needs since 2000. We’re proud to help, but we also find that the scenery and the friendly people in Prescott are always worth the trip. Whether it’s for a home or a business, ATEL has the expertise to get the job done right. We guarantee it. We provide installations, repairs, and maintenance to a variety of home heating and cooling systems. We also offer an emergency after-hours service that will give you peace of mind during a stressful time. Call our emergency number, and someone will be back to you within the hour. 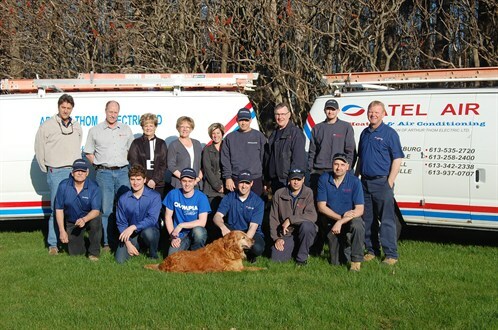 We’re also famous for our electrical expertise. A breakdown doesn’t always happen between 9AM-5PM. When that happens, we offer an after-hours emergency service to everyone in our service area. 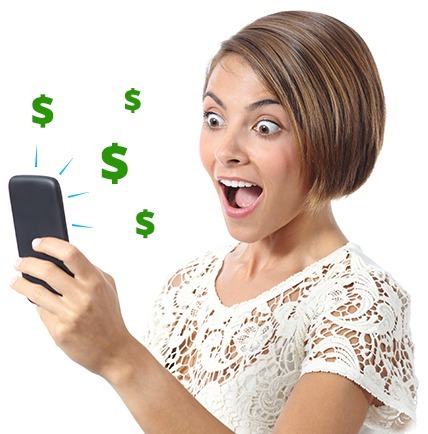 Give us a call and we’ll respond within one hour. There’s nothing like a reliable supply of hot water to make life easier. We can provide you with an efficient and cost-effective water heater solution. Get in touch to find out more. You’ll receive a full price quote up front. There are no mysterious fees that appear after the work is done. 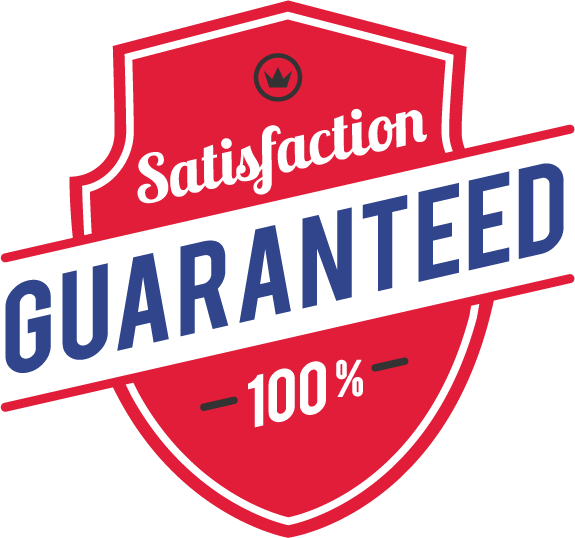 The ATEL Air 100% Satisfaction Guarantee protects you in case you’re not fully satisfied with our work. As a small local company, it’s important to us that you’re happy. After all, we’re hoping you’ll refer us to your friends and family too! 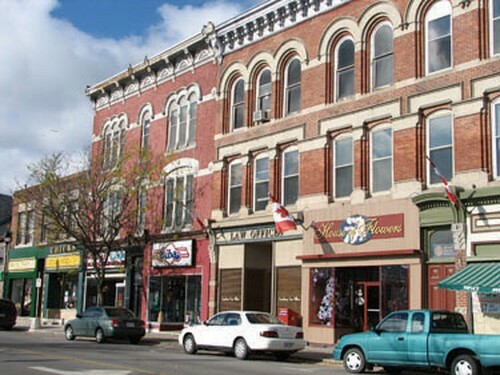 Prescott is a truly picturesque town situated right on the north shore of the St. Lawrence river. It combines wonderful heritage sites with incredible natural beauty and small town charm. It all adds up to a great place to call home. Prescott’s heritage goes back to the American War of Independence. As the gateway to to a series of rapids between Kingston and Montreal, Prescott occupied a strategic position for the movement of supplies and troops. 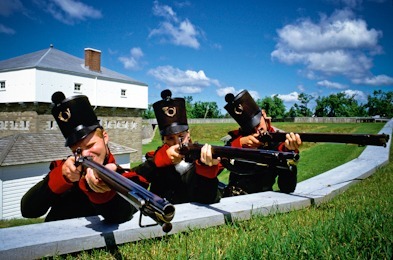 Fort Wellington was built during the War of 1812 to protect the town, and Prescott was the scene of a historic battle between British and American soldiers in the War of Upper and Lower Canada. Today the Fort is still the scene of some great historic reenactments, and the town has maintained many of its historic buildings, especially in the RiverWalk District. Some of Canada’s most successful businesses were also started in Prescott, including Labatt’s Brewery and the JP Wiser Distillery. Being right on the St. Lawrence river, boating, fishing and scuba diving are all activities that are easily enjoyed. There’s even a beautiful beach. The Sandra S. Lawn Harbour and Marina offers world-class mooring and allows tourists to arrive by boat. Golfers will find lots of options in the area, and fans of tennis, hockey, soccer, curling and more will find lots of opportunities to get their game on. For such a small area Prescott blessed with an abundance of artistic people and events. Every summer, the St. Lawrence Shakespeare Festival gives theatre fans of all ages a chance to experience the Bard’s work in the great outdoors. The Fort Town Concert Association showcases some of the best emerging talent that Ontario has to offer. If you’re looking for art exhibitions, the South Grenville Guild of Fine Art has a complete directory. For all its history, Prescott is a modern city in a modern world. Being so close to Toronto but without the same land costs, many business owners have found a number of reasons to live and work in the area. There are lots of options for beautiful homes for much less than you’d pay in a larger city. Whether you need help with heating and cooling for your home or business, don’t hesitate to call on the friendly experts at ATEL Air.